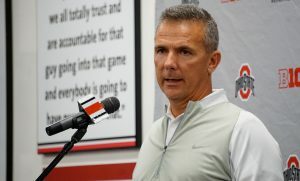 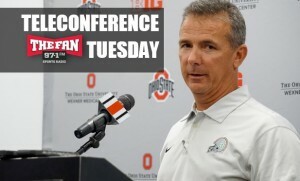 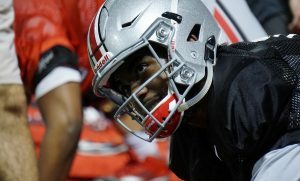 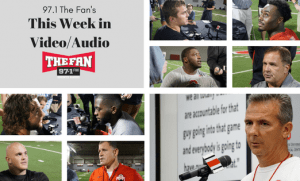 | BY: MARC FINCH & LORI SCHMIDT | Hear from Ohio State head coach Urban Meyer, because–even though there’s no game Saturday–his Buckeyes are hard at work. 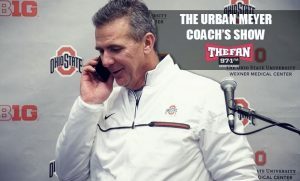 Photo: Urban Meyer / Courtesy: 97.1 The Fan | BY: LORI SCHMIDT | Urban Meyer ‘s Buckeyes are playing another road, night game this week as they travel to Nebraska on Saturday. 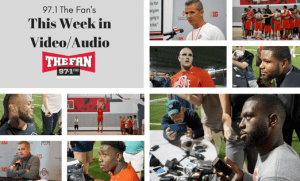 Meyer previewed that 7:30 p.m.
| BY: MARK HOWELL & LORI SCHMIDT | Hear from the two coaches going head-to-head in Lincoln this weekend as they appeared on the Big Ten teleconference.